As we all know, marine ropes are made of different materials, such as polyester, Nylon(polyamide), Dyneema, atlas, sisal fiber and etc. 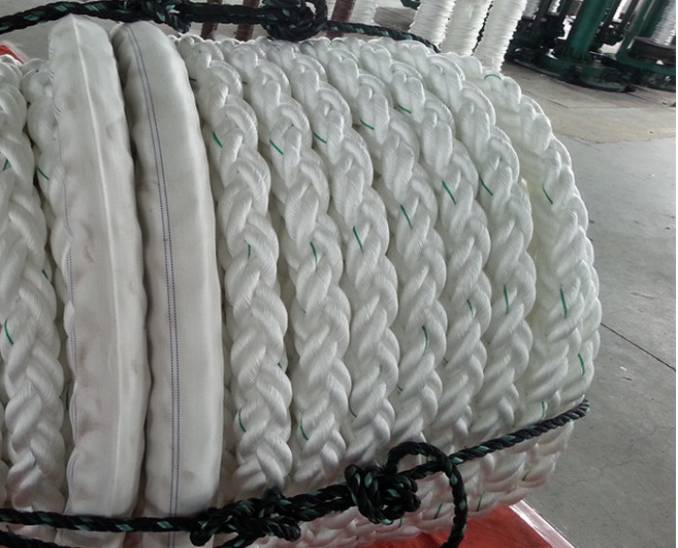 Meanwhile marine ropes can be braided(twisted) as 3,8,12,16 strands with different breaking strength index. Generally, marine ropes for ships can be made 180m, 200m,220m or customized length and at the end of ropes linked with soft eyes. To sum up, a good-quality marine rope plays an important role in mooring ships then how to choose the correct marine rope becomes a big problem. We can choose the correct marine ropes from three aspects: material, color and weave. Firstly we select the rope from color. The color of ropes normally is white, once the filament is colored, the yarn is first treated before dyeing. During this process, the breaking and safe working load will be reduced as much as 20%. But no matter what percentage of colored fiber is used, the core is always white for maximum strength. Secondly, different materials make different functions. 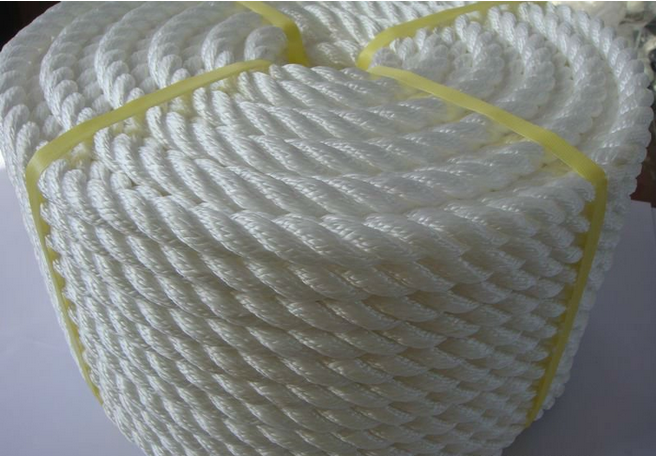 Nylon fiber rope and polyester rope are of great elasticity and strength, high UV rating, excellent abrasion, rot, mildew and chemicals resistance, which are suitable for dock-line, mooring/anchoring lines. But they doesn’t float. And Dyneema has the highest strength of any rope and is traditionally used as a braided core, covered with diamond double braid polyester for easy handling. Dyneema also has a significant price premium and is recommended for halyards, replacing traditional stainless steel wire. Thirdly, twisted rope is one type of rope consisting of several strands of fiber twisted together. Each strand is also twisted from smaller strands. And braided lines are highly elastic, have more strength than three strands ropes and are attractive and long wearing. They are either single or double braided for greater strength. So we recommend nylon and polyester in preference to polypropylene for mooring, docking and anchoring. In the end, the majority of rope sold in the North American marine market is nylon. And the majority of rope sold in the European and Australian marine market is polyester. The below table illustrates the most popular ropes’ relative strength.